Mother Nature sets off her own fireworks as thunder and lightning streak across the UAE sky. 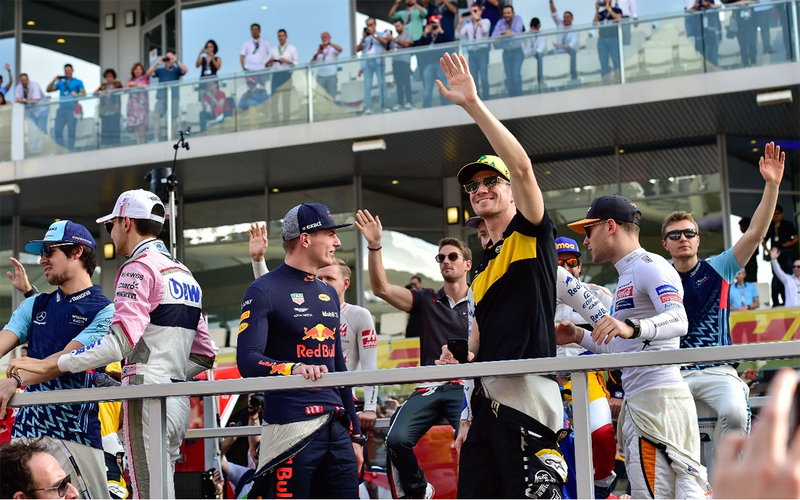 Sebastian Vettel and Lewis Hamilton do a lap of honour with McLaren’s Fernando Alonso, who is calling it quits in Formula One. All three take part in doing some doughnut spins on the track. 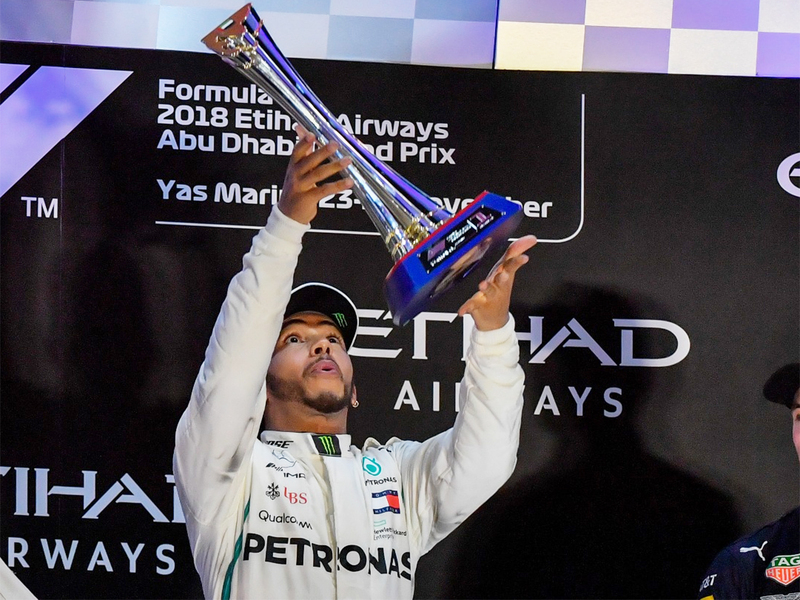 Mercedes’ Lewis Hamilton crowns one of his finest seasons with a dominant race to win the Etihad Airways Abu Dhabi Grand Prix at Yas Marina Circuit. 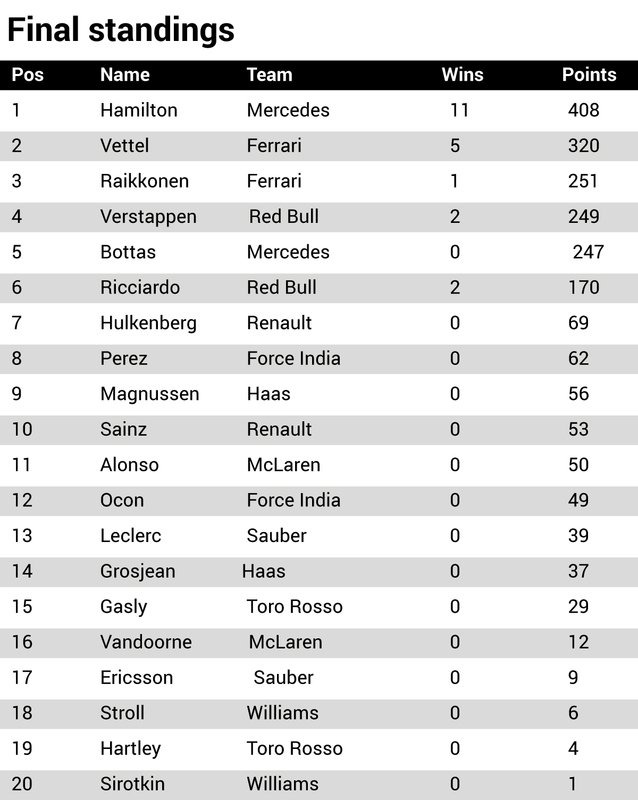 Ferrari’s Sebastian Vettel is second and Max Verstappen of Red Bull is third. 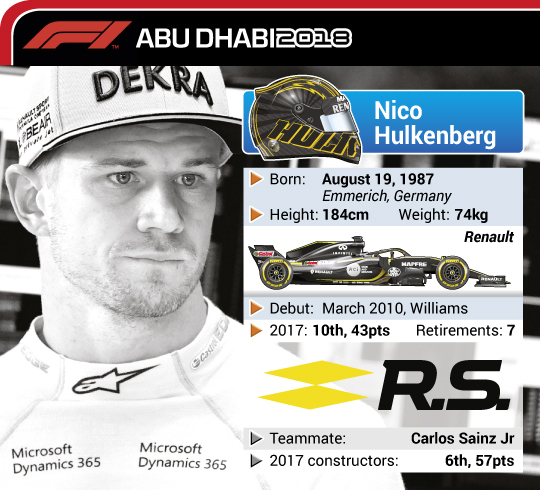 Renault’s Nico Hulkenberg suffered a dramatic crash on the first lap and rain then added to the drama. Lab 39: Verstappen makes contact with Bottas to take third place from the Mercedes man. 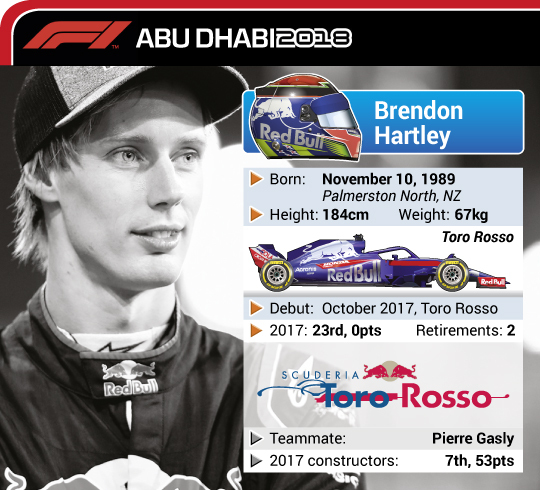 Spectacular driving from the Flying Dutchman. Verstappen makes contact with Bottas to take third place from the Mercedes man. 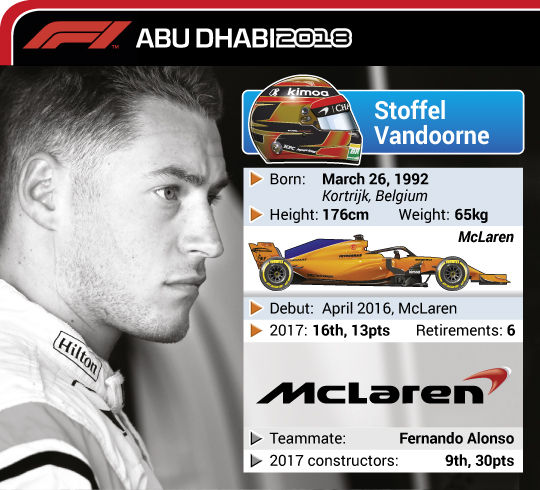 Spectacular driving from the Flying Dutchman. 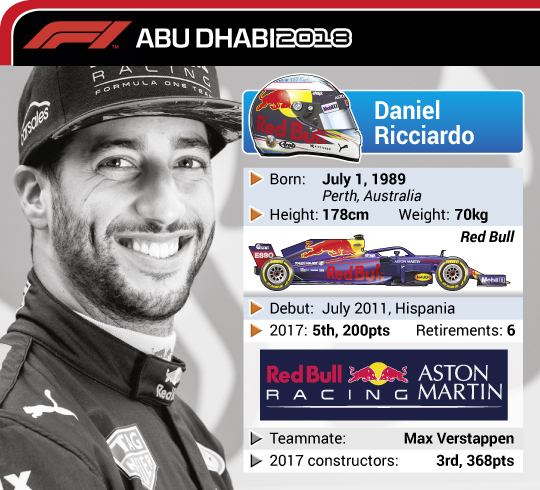 Ricciardo finally pits and Hamilton retakes the lead, from Vettel, Bottas and Verstappen, with Ricciardo coming back out in fifth. Light rain persists. There are spots of rain in the pit lane, which could cause havoc with pit-stop strategies if the leaders have to put on wet tyres. 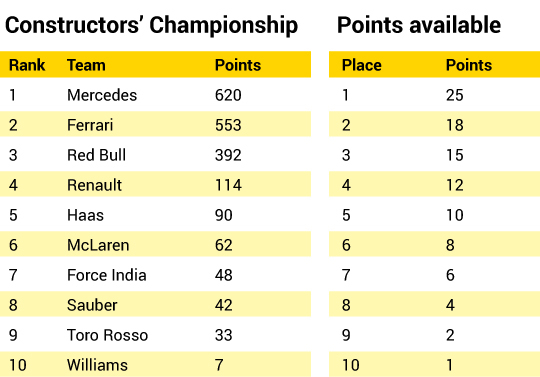 The big winner from that scenario could be Red Bull’s Daniel Ricciardo, who has yet to pit and is in the lead. 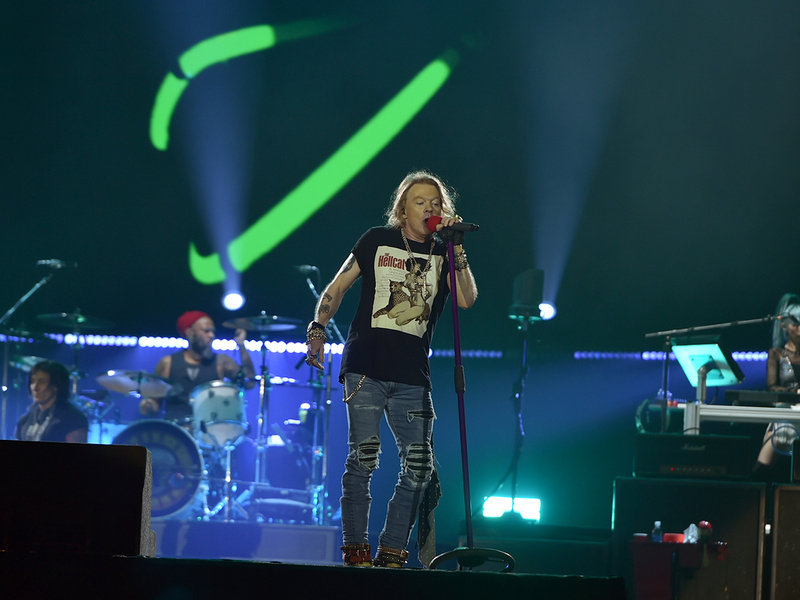 With Guns N’ Roses playing later, perhaps some November Rain is appropriate. 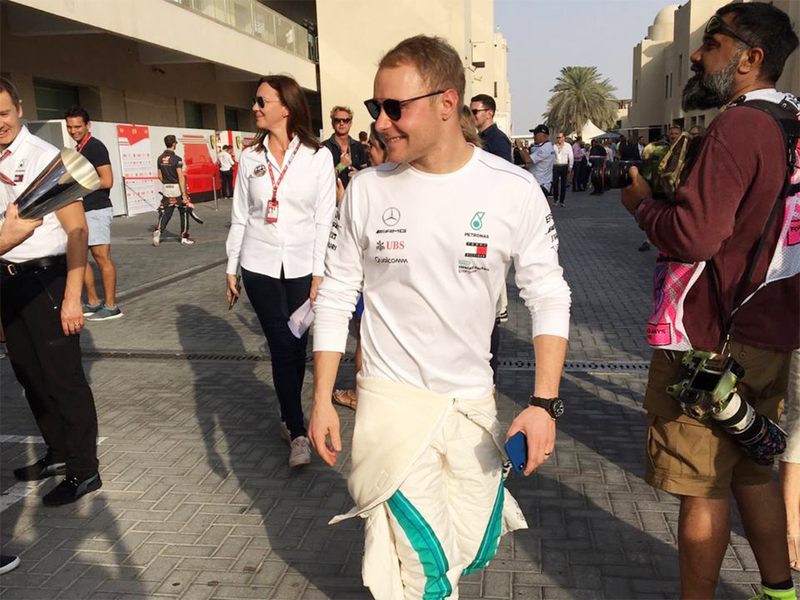 Mercedes’ Valtteri Bottas leads after leader Lewis Hamilton makes early pit stop. Nico Hulkenberg flips his Renault on first lap after crashing into Romain Grosjean. 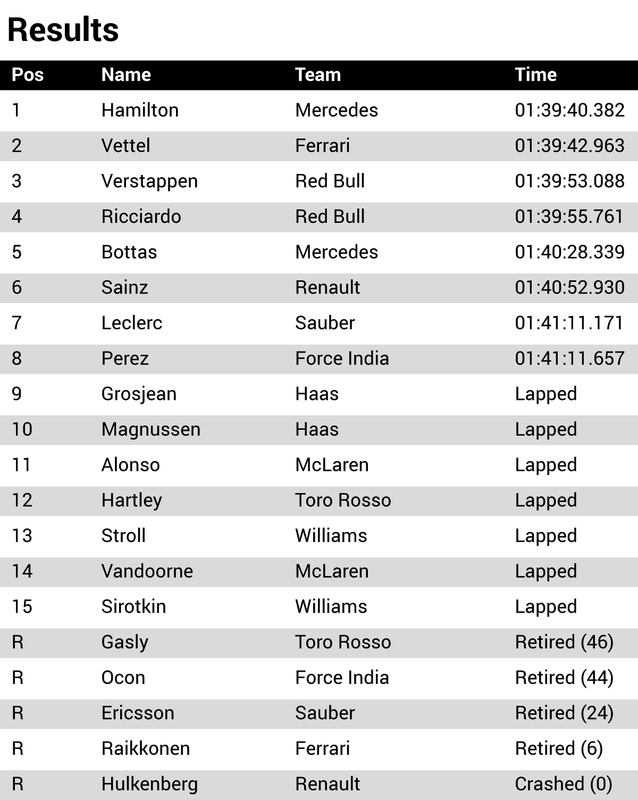 Kimi Raikkonen in final race for Ferrari retires with power failure on Lap 8. 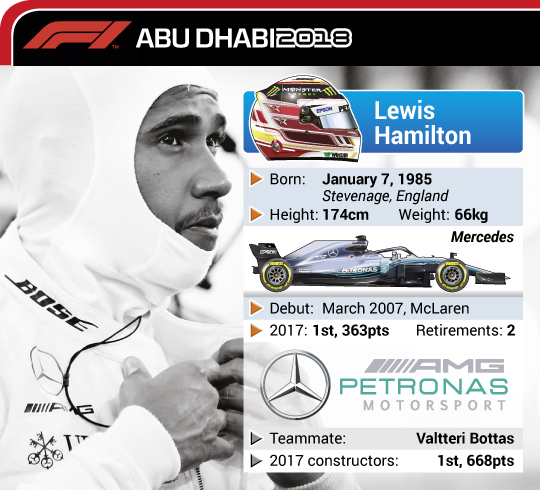 Lewsi Hamilton comfortably gets away from the lead, ahead of teammate Valtteri Bottas, Sebastian Vettel’s Ferrari and Charles Leclerc’s Sauber. 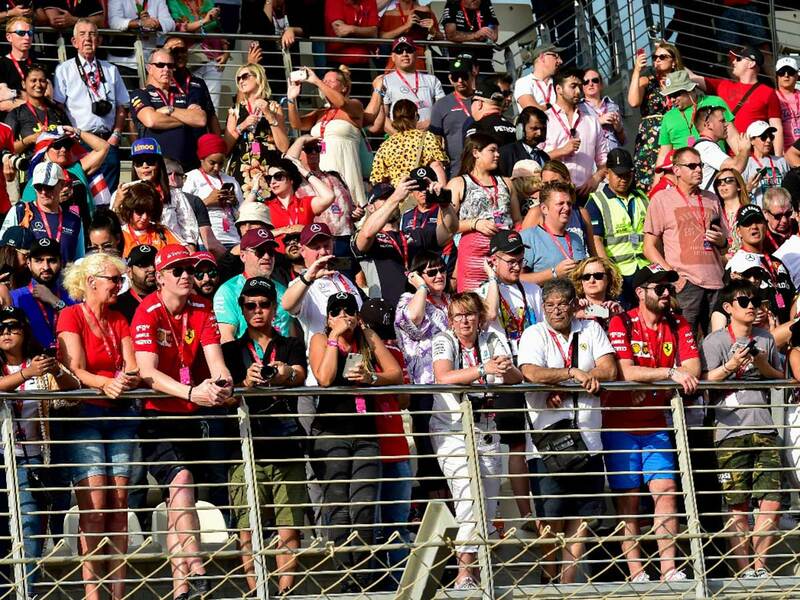 Kimi Raikkonen’s Ferrari fails on the start-finish line and his final race for Ferrari is over early. 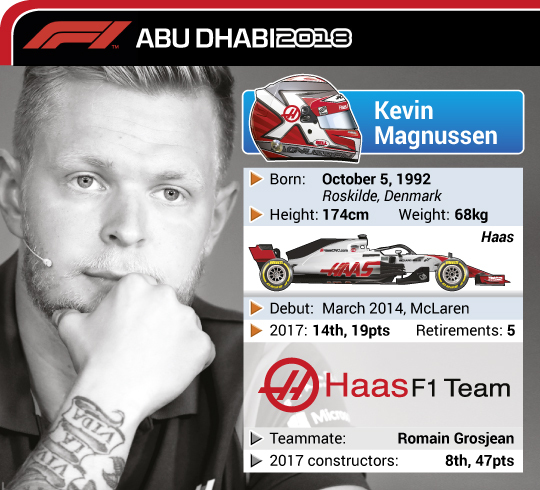 Nico Hulkenberg flips his car after going over the front tyre of Romain Grosjean on the very first lap and is trapped in his inverted Renault for several minutes after flying airbourne and into the wall. Safety car comes out and Nico is OK and drives away in the medical car. 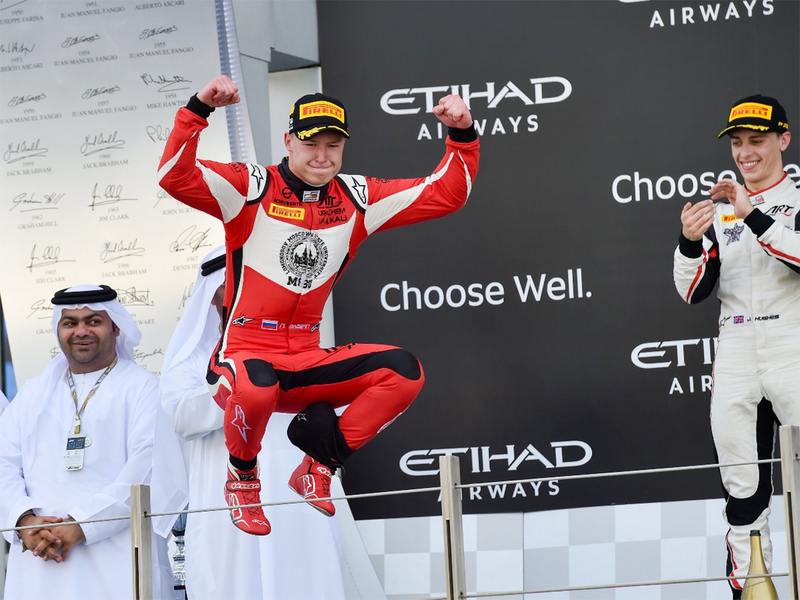 Abu Dhabi: Russian driver Nikita Mazepin won the last race of GP3 in Abu Dhabi after Juan Manuel Correa's victory bid ended with a penalty at the Yas Marina Circuit on Sunday. 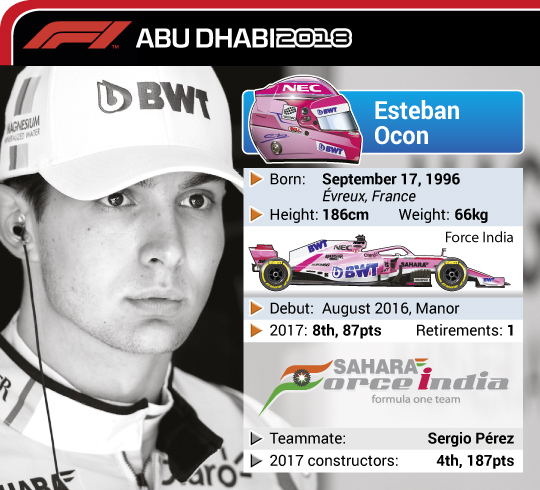 Correa led nearly for the entire race, but was given a penalty for failing to respect the Virtual Safety Car time during an early caution phase. 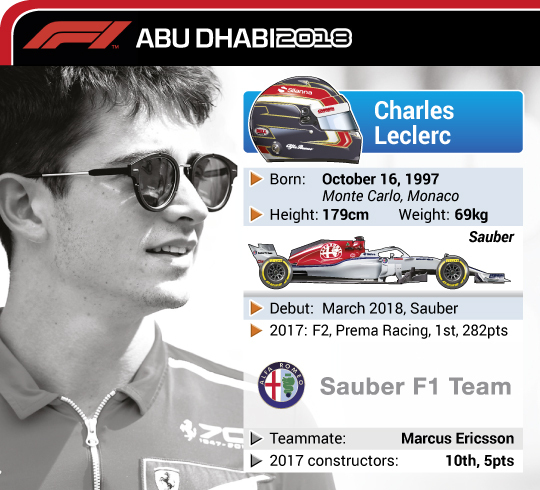 The 14-lap race was the perfect illustration of the ups and downs of motor sport: on Saturday Anthoine Hubert finished on the podium and on top of the world as the 2018 champion, on Sunday the ART Grand Prix driver was an innocent victim in a first-lap incident that also sidelined in-form Trident driver David Beckmann. A second scramble at the chicane on the same lap took out Beckmann’s teammate Pedro Piquet and Jenzer Motorsport’s Jannes Fittje. 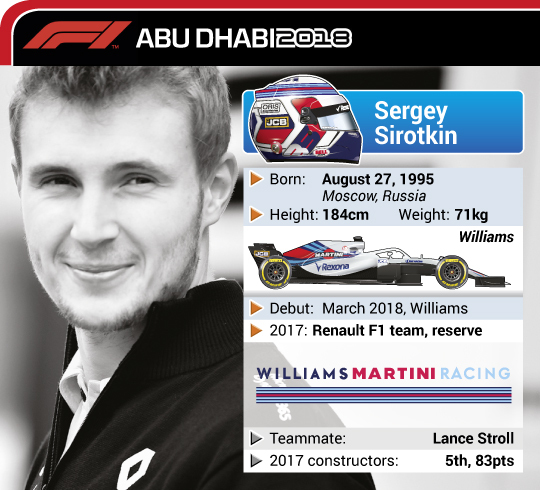 ART’s Mazepin too enjoyed a change of fortunes: given a 10-second penalty in the feature race for leaving the track and gaining an advantage, he was running second in the sprint race but bound to win when leader Correa of Jenzer was given a 5-second penalty of his own for not conforming to Virtual Safety Car rules following the lap one kerfuffle. 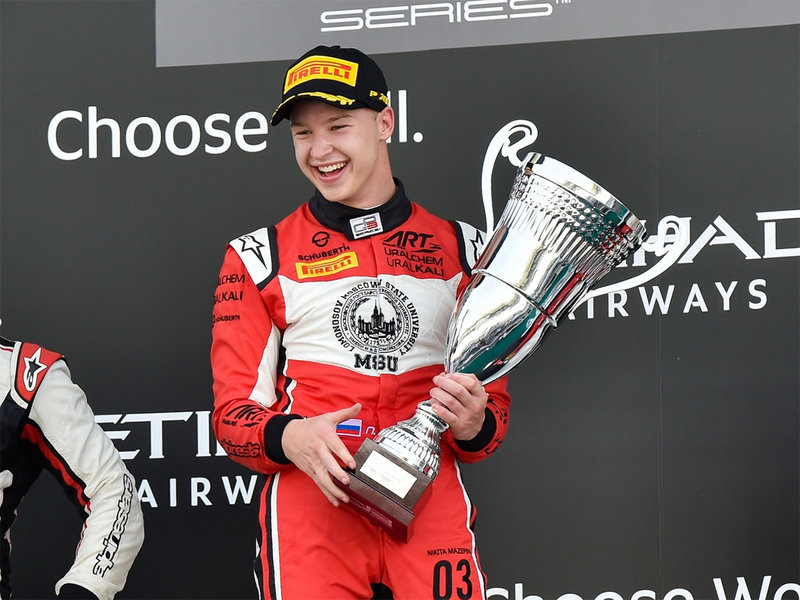 That wasn’t good enough for Mazepin: on the final lap he flew past Correa into Turn 10 and came home with a 1.3-second margin over teammate Jake Hughes, with Campos Racing’s Simo Laaksonen third after Correa’s penalty dropped the American to fifth behind compatriot Ryan Tveter. 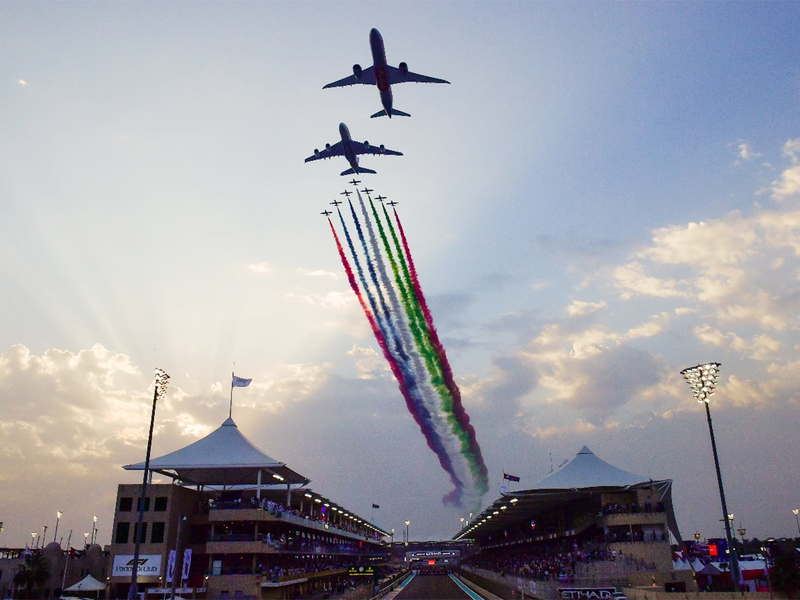 Inaugurated in 2010, GP3 lasted nine seasons and more than 150 races, its champions coming from seven different countries. 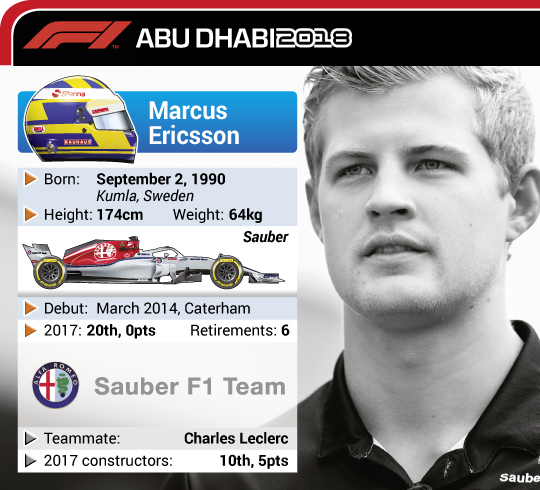 It further justified its existence by providing a number of drivers not only to the GP2/F2 series but then to Formula 1. 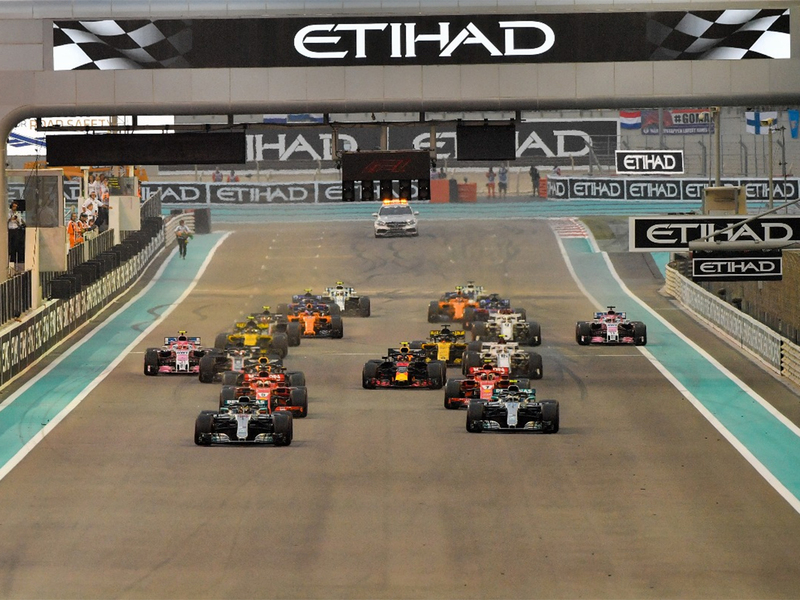 Abu Dhabi: Formula 1 and the FIA announced that Pirelli will be their sole Global Tyre Partner of the FIA Formula 1 World Championship. The new deal will run for four years, from 2020 to the 2023 season inclusive. 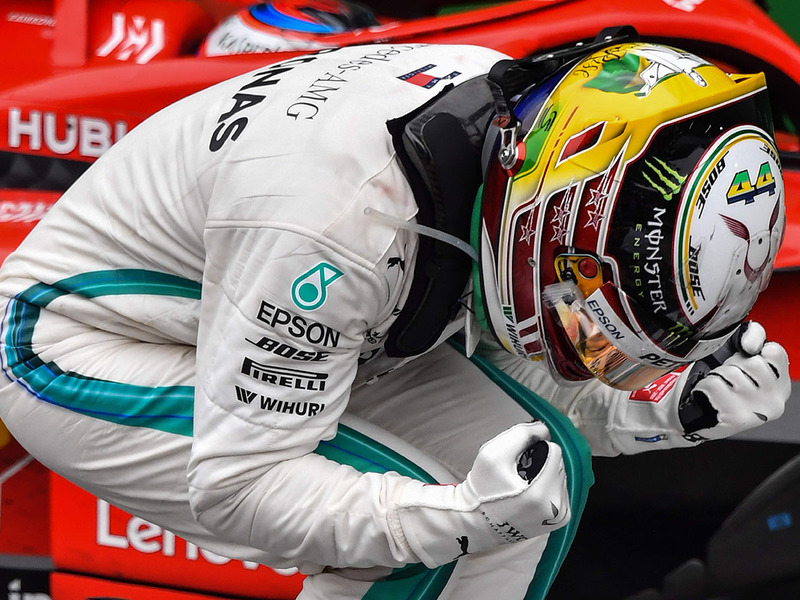 Following the successful partnership, which was up for renewal at the end of 2019, a new agreement has been completed continuing Pirelli’s longstanding relationship with the FIA Formula 1 World Championship. 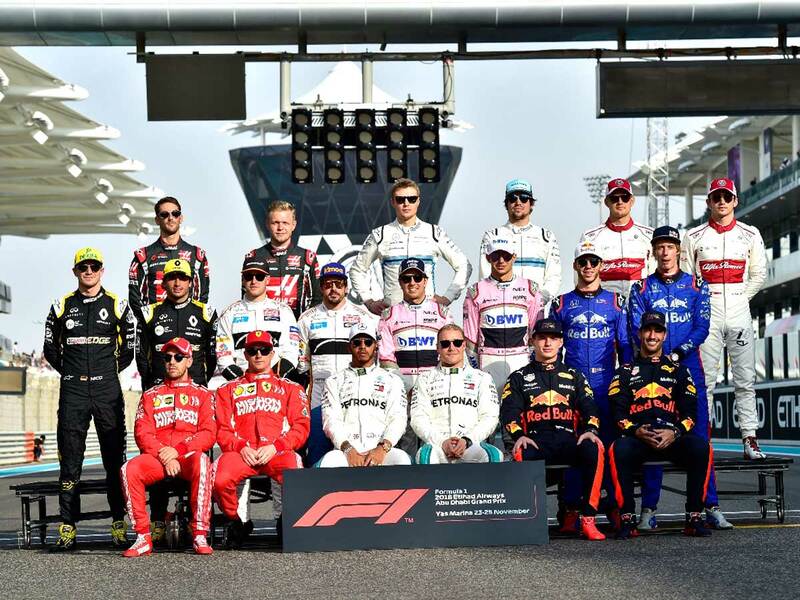 All parties have reaffirmed their commitment to work together towards the new technical regulations expected for 2021, including the 18-inch tyre. 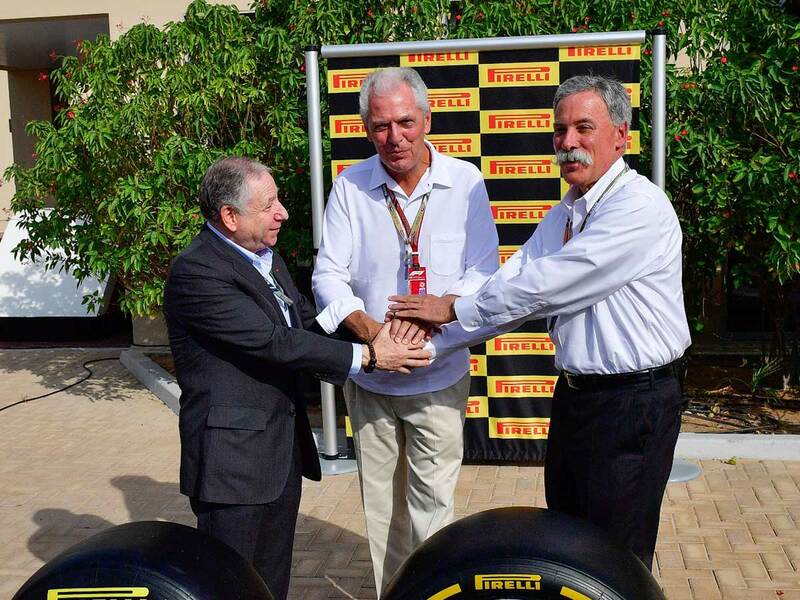 “Pirelli have been an important and valued partner to Formula 1 since 2011,” said Chase Carey, Formula 1 Chairman and CEO. 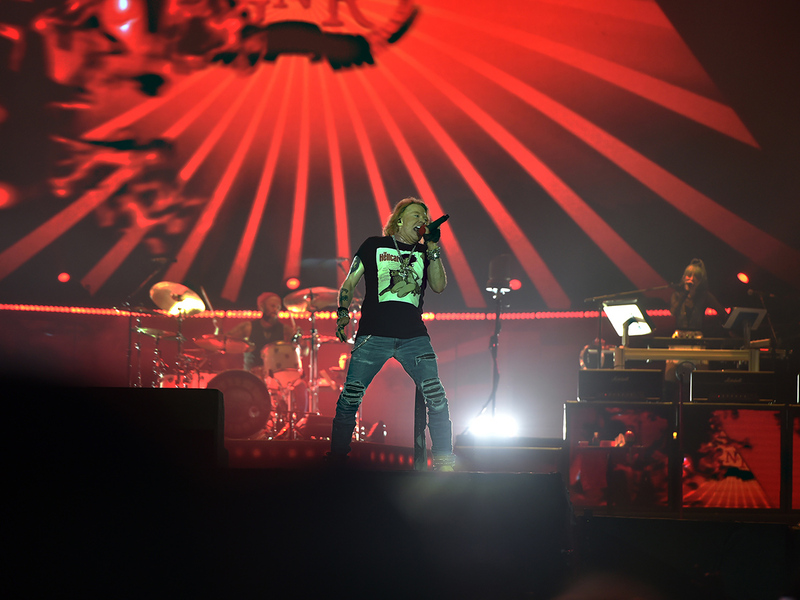 “They are leaders in providing innovative state of the art capabilities. 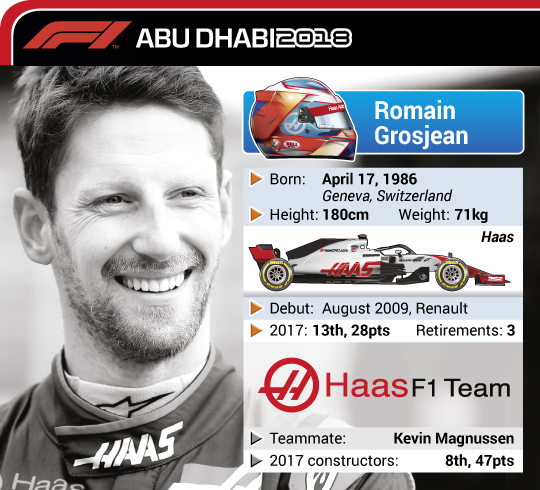 They are a premium brand, a clear global leader in motorsport and our ongoing partnership with them is proof once more of our desire to align F1 with the best in motorsport and beyond. We are delighted to have reached this agreement, which guarantees a long-term stable future for such a crucial component of Formula 1. 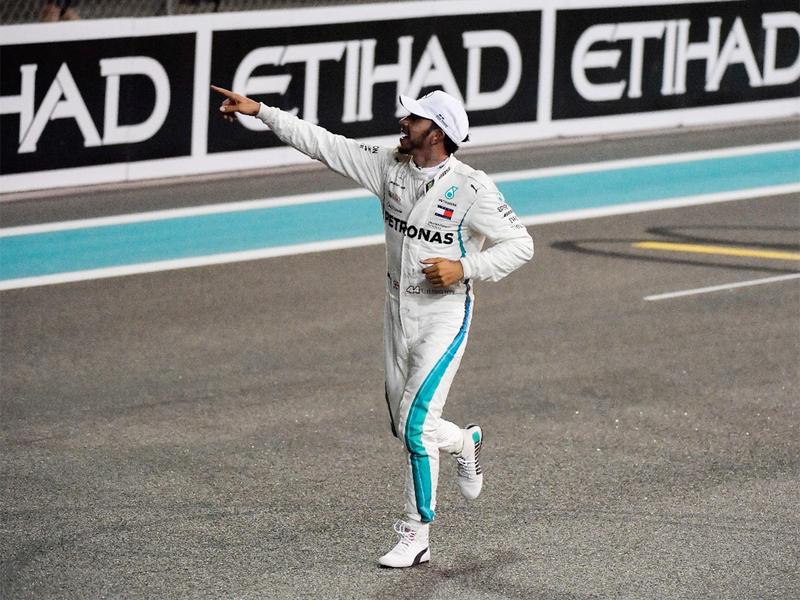 Abu Dhabi: Mercedes Team Principal Toto Wolff has every reason to be happy as his team heads into the final race of this season with both the Constructors’ and Drivers’ Championships wrapped up. 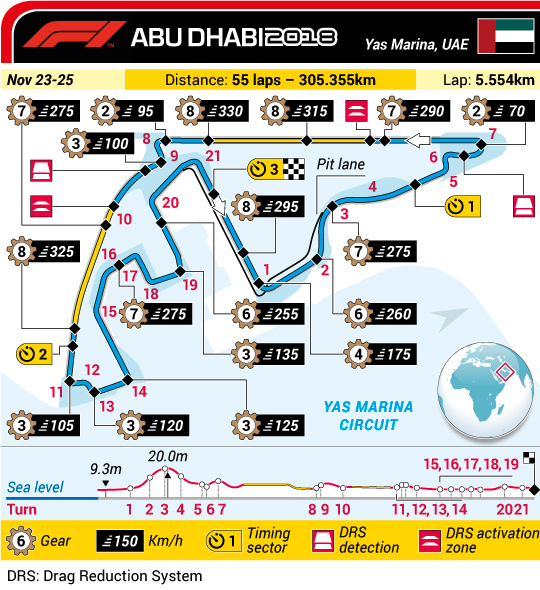 With a maximum 25 points on offer on Sunday, much of the attention will be on the culmination of a 21-race calendar for 2018 and an eventual winner, who at best could end with the third place overall on the drivers’ standings. 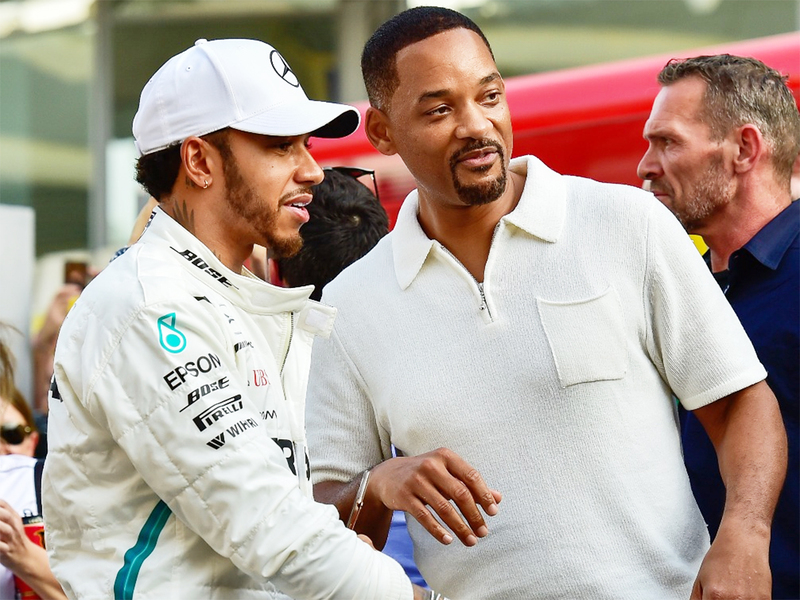 And while Lewis Hamilton has sewn up his fifth world crown following his fourth-place finish in Mexico and his Mercedes team bagged a fifth Constructors crown one race later in Sao Paulo earlier this month, there will be a lot of attention on two special drivers who are also great friends off the track. 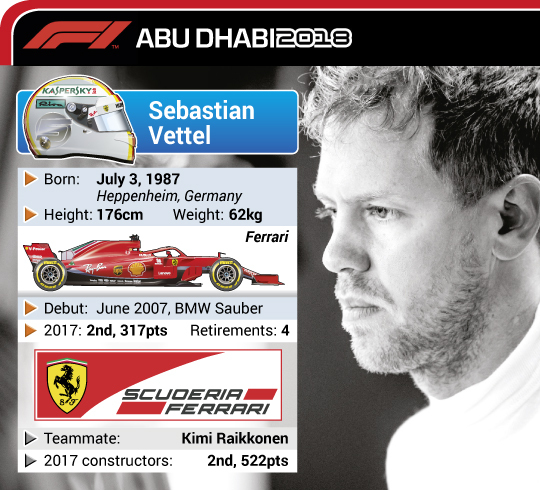 Sebastian Vettel and Hamilton are the most successful drivers at this event. 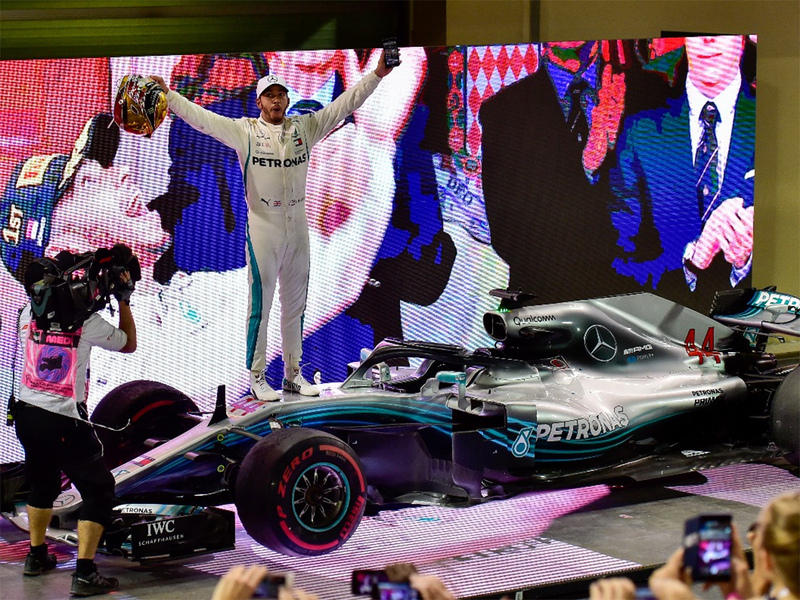 Both drivers have three wins to their credit, with Vettel victorious for Red Bull Racing in 2009, 2010 and 2013 and Hamilton triumphant in 2011 with McLaren and in 2014 and 2016 with Mercedes. 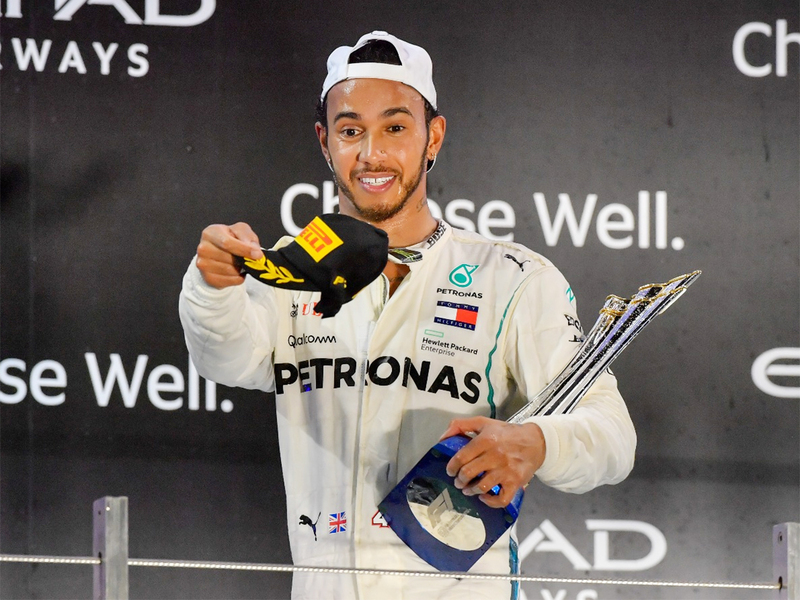 Both drivers have three other podium finishes: Vettel finished third in 2012, 2016 and last year, while Hamilton has three second places — in 2010, 2015 and 2017. 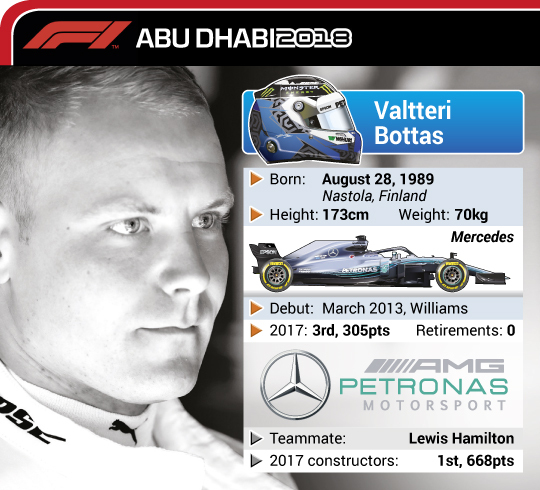 Apart from Hamilton and Vettel there are two other Abu Dhabi Grand Prix winners on the grid this year — Kimi Raikkonen and Valtteri Bottas. 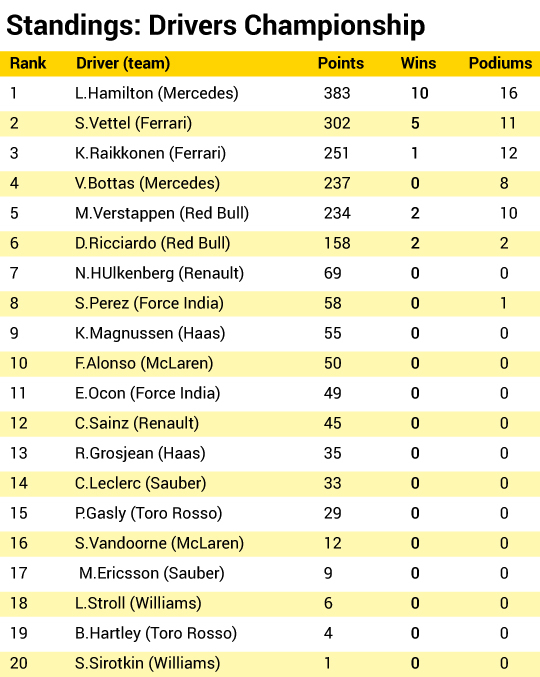 Raikkonen won with Lotus in 2012, while Bottas was victorious last year with Mercedes. 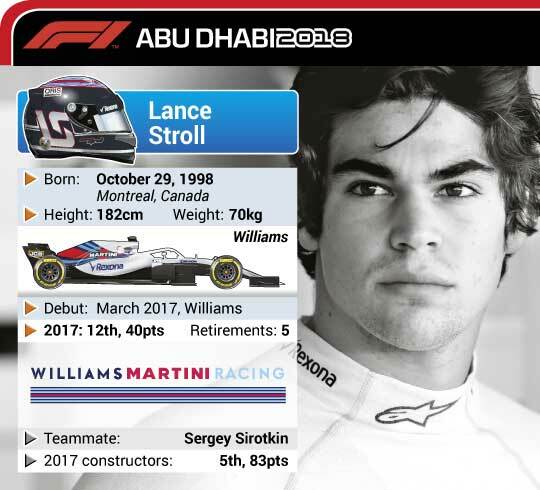 he Polish driver made his debut in an official practice session just 24 hours after he was announced as a 2019 driver by Williams. 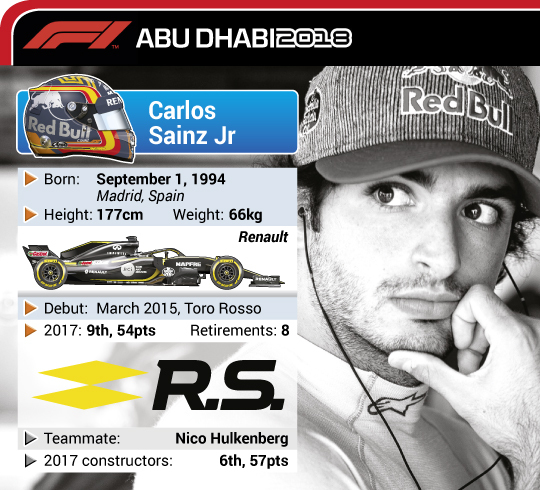 His Spanish friend will be embarking on his last weekend as a F1 driver following an extraordinary career in which he won two World Championships and 32 grands prix. To commemorate this occasion, McLaren has introduced a new livery which recalls the colours of Alonso’s helmet, an homage to his native Asturian region in Spain. 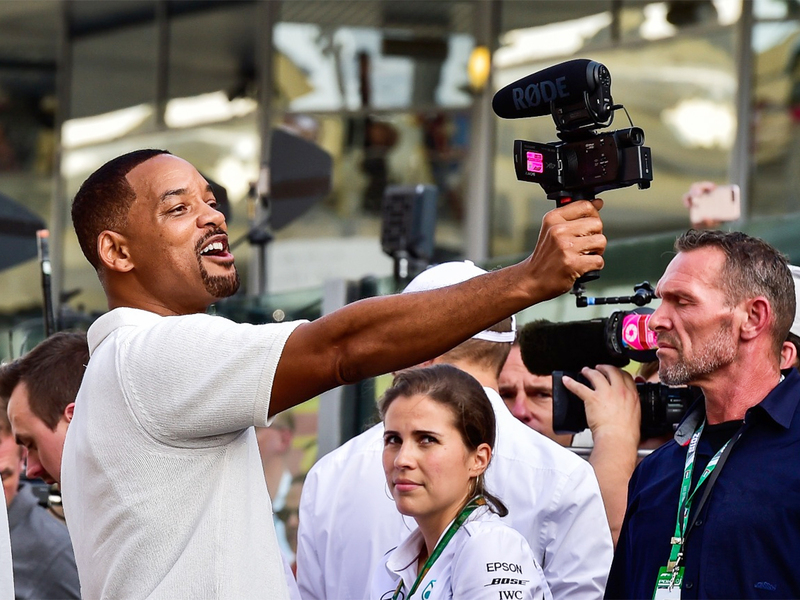 And thanks to a specially placed and innovative face-facing F1 camera, spectators will be able to follow the emotion of Alonso’s last qualifying and racing laps in his eyes and face through the visor. The colours of his helmet — blue, yellow and red — have been incorporated into the Woking-based team’s largely orange livery on the engine cover, along with a special ‘FA’ logo that is seen in front of the cockpit and sidepods. 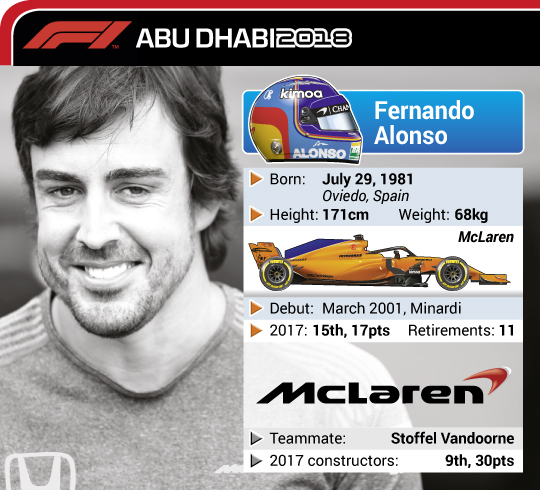 Alonso’s one-off livery will be the first McLaren has used since the 1986 Portuguese Grand Prix, when Keke Rosberg’s car was changed from the usual red-and-white livery to a yellow-and-white scheme. 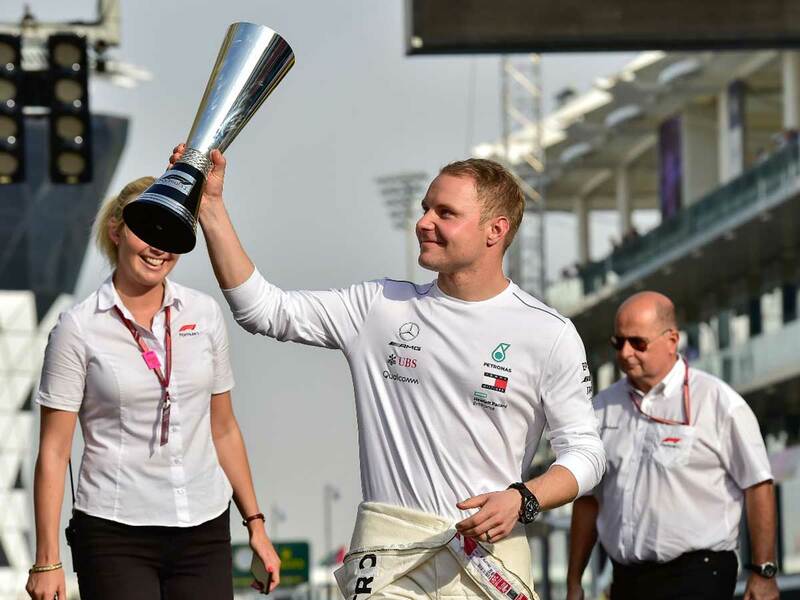 - Valtteri Bottas has not won since claiming victory here last year, which was his only career hat-trick to date. 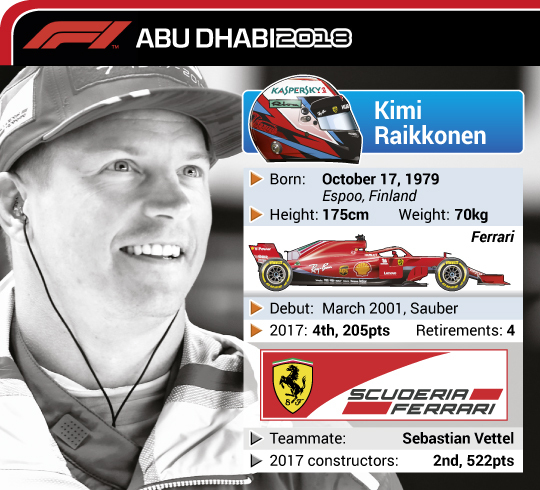 - Kimi Raikkonen is seeking a 13th podium of the year this weekend, which would exceed his previous career-best totals from 2005 (when he was championship runner-up for McLaren) and 2007 (when he was champion for Ferrari). 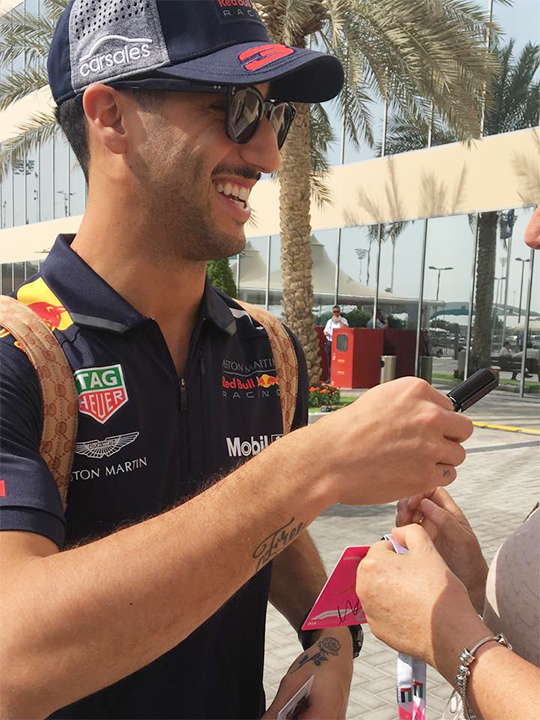 - Daniel Ricciardo is simultaneously making his 150th Grand Prix start and his 100th (and final) start for Red Bull. 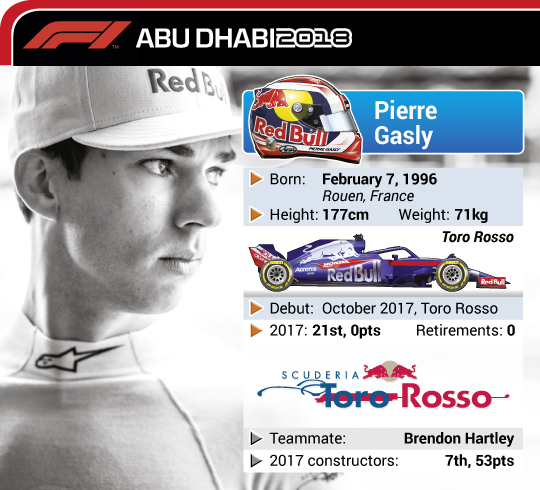 He is the third longest-serving Red Bull driver ever, behind Mark Webber’s 129 outings and Vettel’s 113). 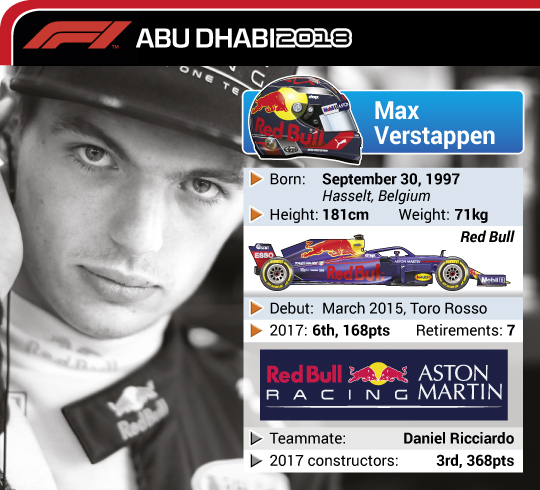 - Max Verstappen has one last chance to break the record for youngest polesitter in history, as the Dutchman is only 17 days younger than Sebastian Vettel was at the 2008 Italian GP . 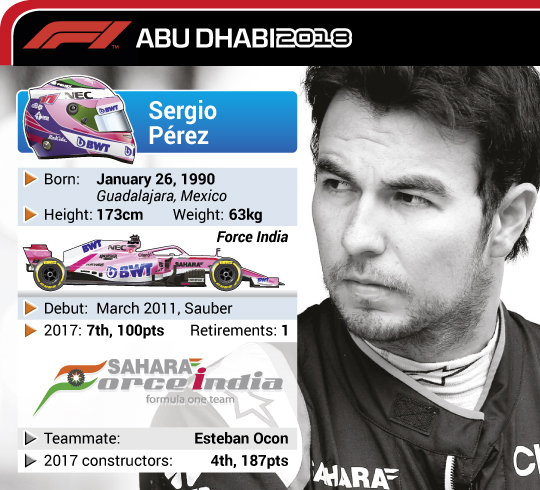 - Force India’s Sergio Perez has scored points in the last five consecutive Abu Dhabi Grands Prix, and has also started in the top eight for the last three years in a row. 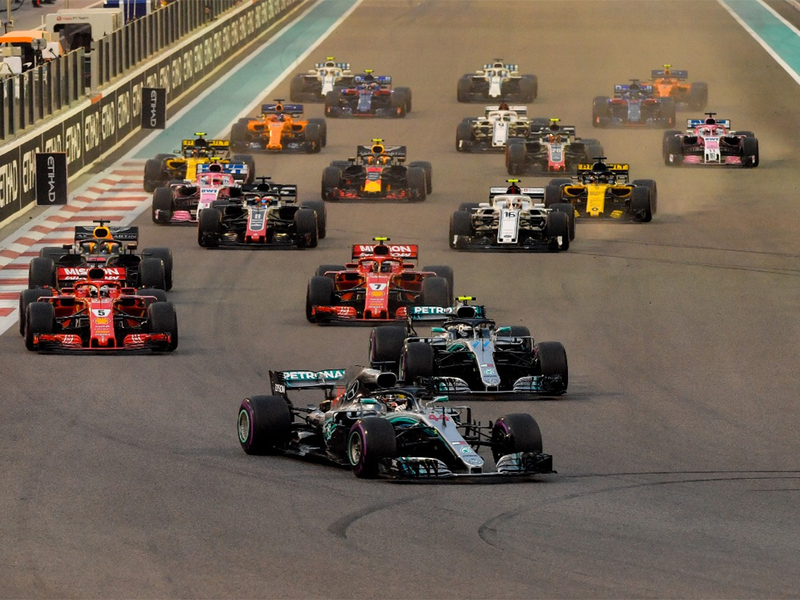 - This weekend will mark the concluding beats of the F1 support series - the FIA Formula 2 Championship and the GP3 Series, where both titles are still up for grabs.